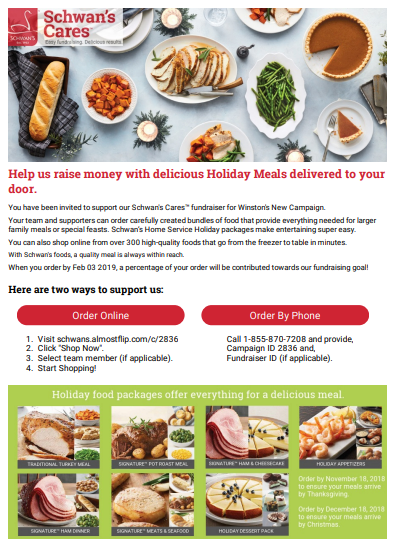 Support the Archbold Band Boosters by placing an order through Schwans.com. A portion of the sales will come back in support of the band program. Shop from over 300 high-quality, family-pleasing foods that are flash-frozen and delivered to your door. Our campaign runs from December 10, 2018 through April 24, 2019. Thank you for your support!